TAG is well known for engaging a wide variety of actors, from professionally trained to people who have never acted before but have been bitten by the bug. If it's something you'd like to try, take a chance and audition, which is how a lot of people get started in community theatre!! If you've ever wondered what goes on back stage and who's in charge, well the answer is “A lot, and the ASM has it all under control!” The ASM is on a headset, communicating with the SM (Stage Manager) who is up in the lighting booth watching and calling the show. The ASM cues the actors, helps with props and costumes and makes sure the show runs smoothly. What a great way to get to know the theatre, our volunteers and our patrons! You can volunteer for one night or 10 nights, that's entirely up to you. You are always paired up with another bar volunteer, as well as a Front of House Manager who deals with any issues a patron may have, so you get to have fun, chat with our guests and watch the show, provided you've booked a ticket! 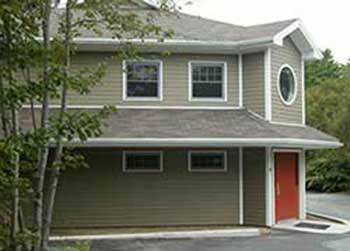 These activities can vary from the mundane to the monumental, from weekly tweaks to the regular upkeep of the Playhouse, from minor construction to major additions and structural changes to the building and grounds. Most work is light in nature but heavy lifting is sometimes required. As of 2017, the “Wednesday Crew”** meets each week to assess the current state of the theatre and perform a variety of maintenance tasks. You will assist the Costume Designer or Coordinator in sourcing, possibly making and fitting the clothing and accessories that will support the actors and the story, in order to make the script come to life! You will create the look of each character by choosing and sourcing their clothing and accessories. 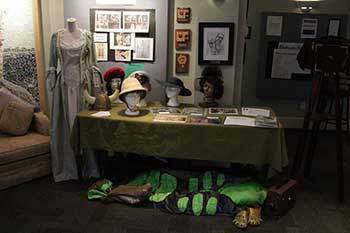 The costumes support the actors and the story, while contributing to the mood desired by the Director. Costumes may refer to the style of dress particular to a nation, a social class, or a period. It is up to you to ensure that every actor who walks on to the stage looks the part and feels comfortable doing so..
As a Director, you are the creative force who makes the vision in your head a reality for the audience to enjoy. This is done thanks to the collaboration you'll do with all of the other team members – cast and crew! As a Lighting Board Operator you will run the lighting software during rehearsals and performances, following the cues given by the Stage Manager. You will sit in the technical booth with the Stage Manager and Sound Board Operator during the shows, so you will get to watch the show each night from the booth, which is an experience on its own! As a Lighting Designer, you will create and oversee the lighting for the production using Light Factory software on the computer at the theatre. 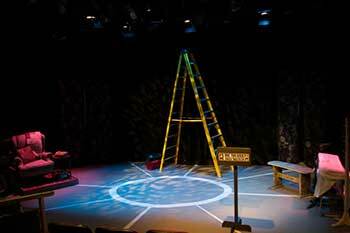 You will contribute to setting the mood on stage by choosing lighting and colours that support the script and the actors to create a play that will engage our audiences. An effective producer is invisible to the cast and the production organically happens, amid catastrophes, low budgets and hilarious deadlines. As the Theatrical Producer you oversee all aspects of mounting a TAG production! You are the Go-To person for the entire cast and crew, as you will manage the overall financial and managerial functions of the production. You gather the team who will turn the play into a performance that will WOW our patrons! . You will be responsible for using your skills and talents in order to create a stunning and eye-pleasing Production Program that informs our patrons on everything we want them know about the production! (link to examples) You will have to adhere to certain rights guidelines, but you will have creative freedom with the design that will be approved by the Director. As a Prop lead or team member, you will be gathering and sourcing all of the items handled by the actors during a show, all within a budget provided to you by the Producer. Some of these props are already at TAG, however some will need to be bought or even made! This is a great role for someone who is new to the theatre and is resourceful and creative with arts and crafts. Most of the work is done on your own time, but you will need to attend a few rehearsals, and possibly all performances if needed. The time required is determined before you commit. As a production's Publicist, you are responsible for publicizing the show through various mediums, reaching out to the media and the community. You will be given TAG’s Publicity Manual which is a great resource, plus you are encouraged to find and use new ways to reach a larger or different audience for TAG. This is a great role for a person who likes to be creative with writing and works well with deadlines. You also need to be a self-starter and open to text changes/suggestions. As a member of the Construction Team, you will build the set for the play that may include walls, furniture, mobile pieces, stairs, door frames, room entrances and more! You will do this under the guidance of the Set Designer, or designated construction lead, who could be you! As Set Designer, your job is to design a set that reflects both the playwright's story as well as the Director's vision! The set should support the actors and the story and not be a distraction for the audience. .
You get to play interior decorator and put life, character and mood into a set! Choose from TAG's prop/set inventory or go nuts at one of Halifax's used goods stores! Together with the Set Designer and a team of painters, you will put brush to wood and finally bring to life the set that has been created in the Set Designer’s mind. You may paint a wall one colour, splatter paint across the floor, detail a piece of furniture or create a mural of a magical land or more. Either way, you will paint, you will get messy, you may dance and you will have fun! As a Sound Board Operator you will run the sound software (Show Cue System) during rehearsals and performances, as per the cues given by the Stage Manager. 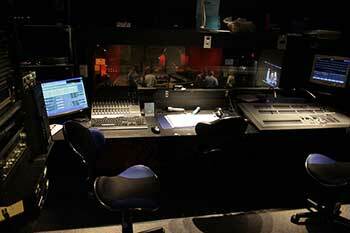 You will sit in the technical booth with the Stage Manager and Lighting Board Operator during the shows. You will get to watch the show each night from the booth, which is an experience on its own! A prior knowledge of the technical/management aspect of productions would be an asset. There are opportunities for first-time stage mangers to be mentored/trained. Are you currently a member of TAG?